The Tony Hawk game series hit shaper stardom all those years ago on the first Playstation to then be chewed up, moved away from its skating routes and placed into a type of semi retirement, thanks to a rather slow and steady delve into mediocrity. Old games wrapped in an HD title have never really done anything for me, as they tend to ruin the nostalgia and memories of games that are cherished. Thankfully, to my surprise, Tony Hawk’s new lick of paint, and the fact that its core playing system has still be kept intact, means that the Summer of Arcade kicks off with a bang, rather than a whimper. Tony Hawks gets a whole lot more appreciation from me as it would seem it really hasn’t changed; I was rubbish when Tony Hawks 2 came out and I can confirm that I am also completely useless now. Yet the very fact that my knowledge on ollies, nollies and grinds is still pretty slim, Tony Hawk is still an incredible joy to play even as a bona fide beginner. To old hands, Pro Skater’s core gameplay has barely changed and newbie’s won’t find it difficult to get into.Each course gives you a set of objectives to achieve to allow you to unlock the next stage, but don’t expect there to be anything groundbreaking or new as this follows exactly the same template used back in the day. Objectives are broadly split into smashing things, collecting icons that are littered across the course, the classic SKATE icon collecting is still there, and attempting to reach insanely high scores. Even getting close to these scores takes practice, practice, practice, making mastery of the various stages and pulling off perfect combos to reach higher scores is hugely satisfying. Though, as with any nostalgia, there are a few negatives to add to the bargain. The stages given are a mix of both the first and second games, though the selection on offer is rather sparse, even with the news that a few stages from Tony Hawks 3 will be available as DLC in the near future . 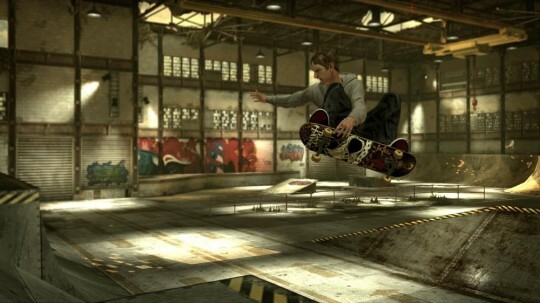 Remake and remake alone seems to have been the main reason to release the game as none of the features that have been put in place since Tony Hawks 2 seem to have made the cut, with create a skate park being the largest feature that seemed to miss the boat. Oddly, the ability to revert your board is being added as part of the upcoming DLC content but cannot be used in or on the stages that have already been incorporated. A few extra stages also wouldn’t have gone a miss as the wave of nostalgia only lasts so long, although this is from a long term standpoint as this wont even cross your mind for a good few hours, before you realise that playing the same stages that you already played to death years ago isn’t necessarily as fun as you remember it being . There is a choice of old and new skaters, with old Tony taking pride of place, which you are able to level up and customise through completing the objectives and earning money to spend on skills and new boards. A very nice touch is the ability to play as your Xbox Live Avatar making it all the more satisfying when you pull off a difficult trick, and all the more amusing when Mr Avatar face plants into tarmac. Online play consists of three modes; trick attack, big head mode and graffiti. Trick attack is simply whoever gets the highest score but the other two game types are both fun, nicely balanced and competitive. Big head mode sees you with a percentage at the top right of the screen, the higher it goes the bigger your skaters head gets; pulling off well timed tricks with large enough combos is the only way to knock the meter back down again. Graffiti is your opportunity to test your skills on all areas of the skate park and making it very visible where you have been, as every ramp and rail that you come into contact with and skate on turns to your colour; opponents can take this away from you if they beat your score on the same part of the environment. All of the game modes are rather entertaining, though it did seem that big head mode wasn’t anywhere near as popular as the other two, with there being some difficulty in joining games specifically for that. This HD remake is best described as an old ,well looked after car that has just been done up; shiny on the outside and still runs like a dream on the inside. Tricks and combos are still relatively easy to pull off and are fun to mix and the stages, although generally sparse, are large enough for you to fdigure out the best route for the highest score making the desire to try again, increase tenfold. The lack of a proper career mode, split screen or the ability to create your own skate park, something sorely lacking considering how well Trials Evolutions managed to make creating and sharing newly made courses a , does let it down slightly. Two minutes around the same courses is only likely to keep gamers interested for so long especially as the free roam mode is pretty useless other than to get your bearing . 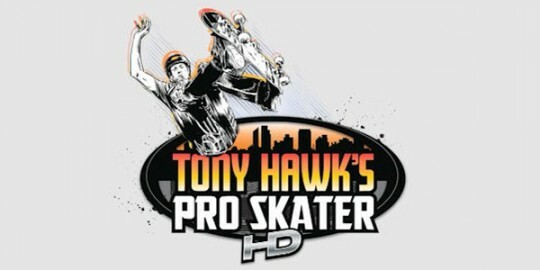 These are minor niggles however, as Tony Hawks has earned its HD badge and has shaken up my own opinion on HD remakes, with the newly updated graphics and nicely synchronised online play enough to prove that an old dog doesn’t necessarily need to learn too many new tricks to be worth another punt.